It is a tool or cleaning aid consisting of soft, porous material. Usually used for cleaning impervious surfaces, sponges are especially good at absorbing water and water-based solutions. Scrubber to shine your company floor. 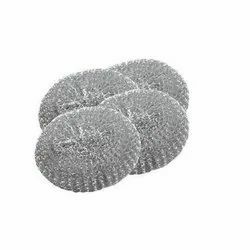 - A stainless steel scrub with a scrub pad for multipurpose cleaning. 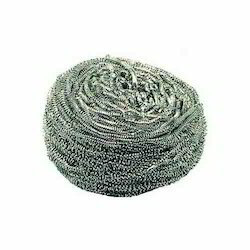 Green Scouring Pad for Cleaning. Available in various sizes and thickness as per customer requirement.